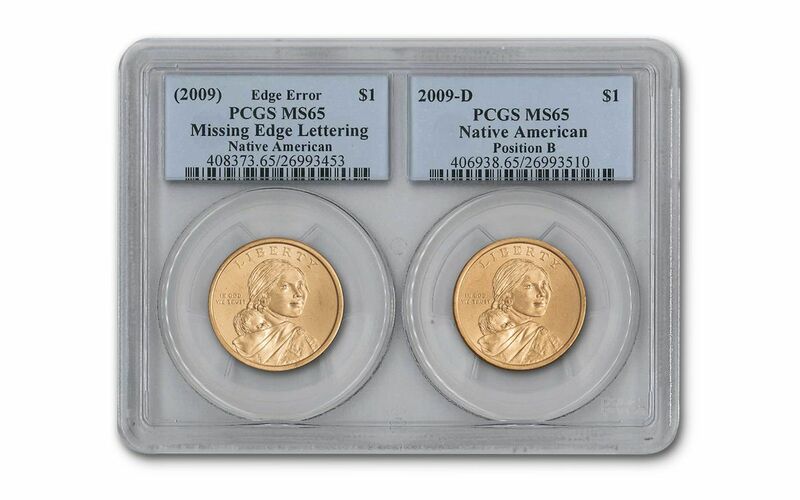 This is a unique 2-piece set that includes the 2009 Native American Missing Edge Lettering coin with a 2009 Native American Position-B edge lettering coin. The first coin features an error made on the 2009 Native American Dollar where the edge lettering was not applied. 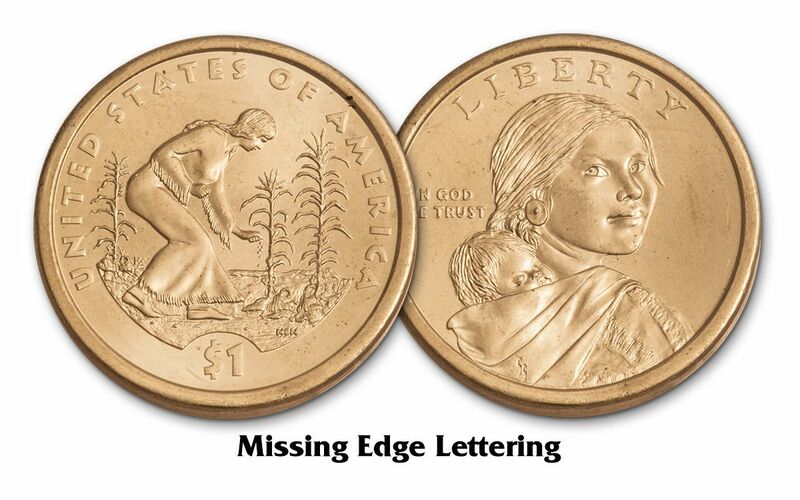 The second coin shows Position B edge lettering where it reads correctly when the Portrait of Sacagawea faces up. The Native American Dollar was introduced in 2009, and features a new reverse design and theme each year that recognize the contribution made by Native Americans to the early development of the United States. The obverse design features the central figure of the "Sacagawea" design first produced in 2000 with the inscriptions LIBERTY and IN GOD WE TRUST. 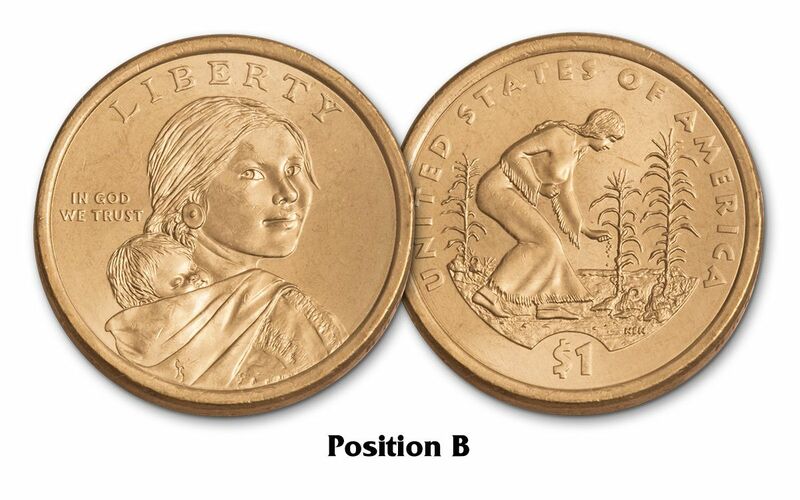 The reverse features an image of a Native American woman planting seeds in a field of corn, beans and squash, along with the inscriptions UNITED STATES OF AMERICA, and denomination of $1. The U.S. Mint began using edged lettering in 2007 - the first time in nearly 75 years - since the $20 St. Gaudens Double Eagle. The U.S. Mint has procedures set up throughout the minting process to ensure that errors such as this don't happen. But, fortunately for us all, one of the steps was missed, and these rare error coins were struck and escaped the mint's quality control. Each of the two coins in this set are certified and graded by Professional Coin Grading Service in Mint State-65 (MS65) condition. Add this unique error coin set to your collection today!